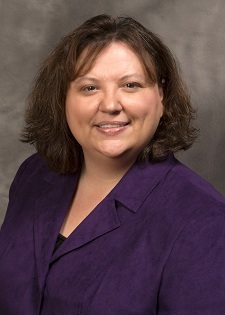 With over 22 years of experience in public accounting, Lisa’s areas of expertise include tax compliance and planning. She has extensive experience in the taxation of small and mid-sized businesses, non-profit organizations, individuals, and trusts. Her clients operate in diverse fields and include contractors, medical practices, retailers, manufacturers, and charitable organizations. As part of the SFW Partners’ Tax Services Department, Lisa stays current on tax rules and regulations and helps implement changes in our tax practice. She also assists with communicating new tax opportunities and challenges to clients. Lisa graduated with honors from the University of Missouri-Columbia, where she obtained a Bachelor of Science in Accounting. She currently serves on the University’s accounting advisory board. Lisa is a member of the Missouri Society of Certified Public Accountants, where she served on the Taxation Committee for over five years. In addition, she is a member of the American Institute of Certified Public Accountants. Lisa is actively involved in several non-profit organizations, including serving as treasurer for CHADS Coalition for Mental Health. The St. Louis Small Business Monthly named Lisa as one of the 2017 Top Small Business Accountants.